This Thai Chicken Salad will quickly become a family favorite if you like Thai food, and especially Salads. I can be as happy as can be with a plateful of Chicken Salad, or any Salad for that matter. We love our salads, and have our absolute favorites, but in general, living in sunny SA, salads are a staple for lunch or light dinners. 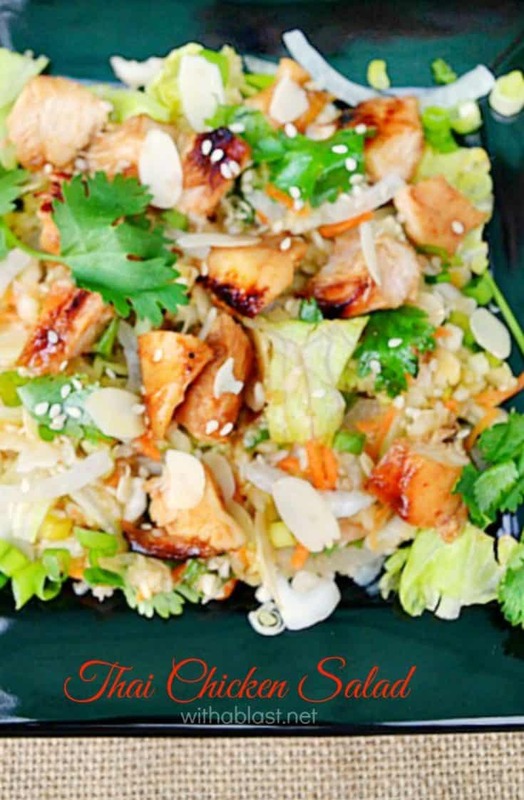 In this recipe for the Thai Chicken Salad the marinade serves a 2-in-1 goal. Marinade and Dressing ! You only use a little for the marinating part and the remaining marinade gets added ingredients and drizzled over the Salad just before serving. There is so much going on in this Salad that at first glance, you would never think so. After your first taste you will think you are in some Foodies paradise ! 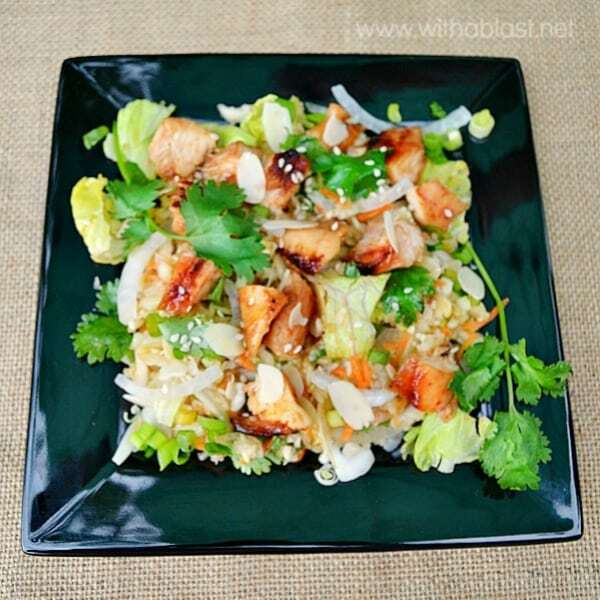 I make this Thai Chicken Salad fairly often, as you can do most of the prepping way in advance. Even the cooking of the Chicken ! And once you are ready to serve, toss everything together, and your Salad is done and lunch or a light dinner can be served. Serve immediately as lunch, a light dinner or a side. This sounds amazing! Love the 2-for-1 for the marinade/dressing! Yum! What a wonderful, fresh and delicious salad, Linda. I love the flavours you have used in the marinade and dressing. This sounds so good! the perfect lunch! I just love all the wonderful colors and textures you chose for this salad and can't wait to try it! A lovely salad and perfect for a packed lunch too.